This company has been up and running for 13 years and are proud of how far it has come. We have three office staff and three engineers to help assist you swiftly and efficiently and to put your mind at best that you will get the best quality work. This is a family run business with Graham and his wife Laura working side by side with their administrator Emilie. We also have our three engineers (Matt, Rob and Sam) who are all highly trained and can deal with any issue you can throw at us with ease and a smile on their face! 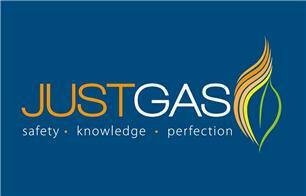 Just Gas are also proud with helping as many charities as they can each year.